An image of Neil Armstrong’s space boots do not match an image of his footprints on the moon. Neil Armstrong wore moon boots over the spacesuit in the picture when he walked on the moon. These moon boots do match pictures of his and Buzz Aldrin’s footprints. 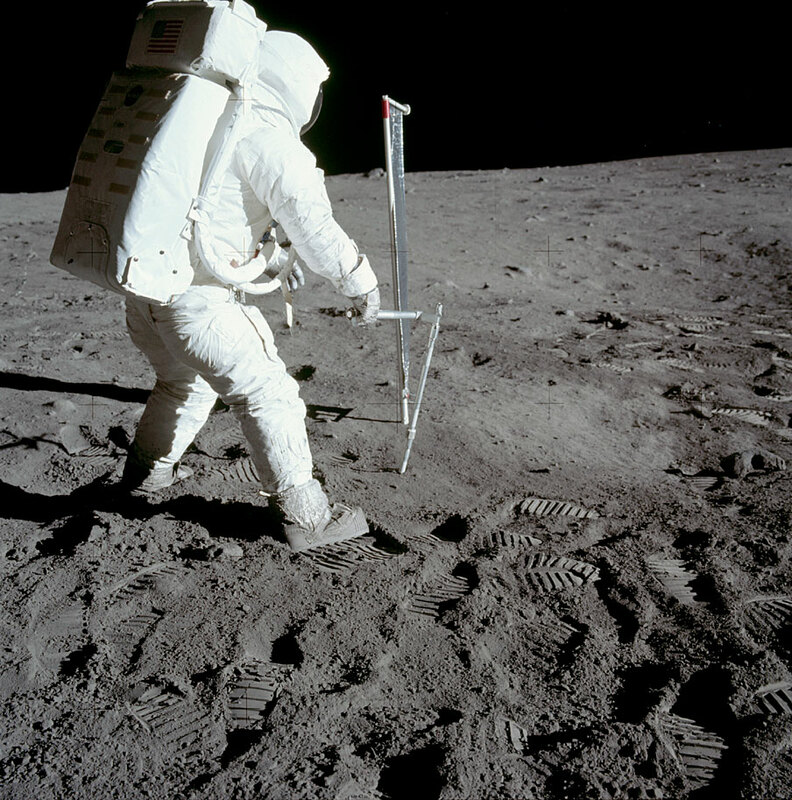 An image posted to Facebook claims that Neil Armstrong’s space boots do not match the footprints he left on the moon. The top picture in that post is an image of Neil Armstrong’s Apollo spacesuit, taken in 2015 while the second picture is of Buzz Aldrin’s footprint taken during the first moonwalk in 1969. 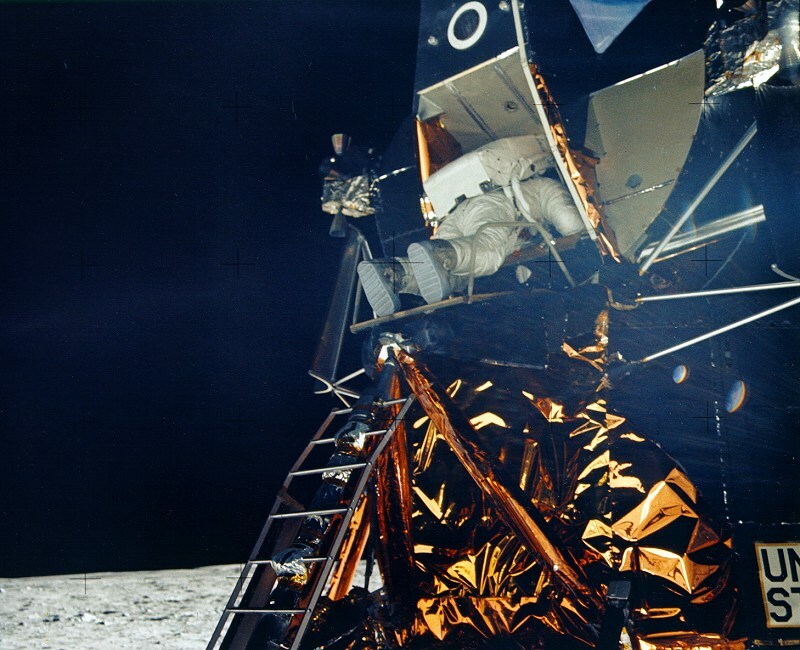 But you can see from other images of the Apollo 11 moonwalk (like this one taken by Neil Armstrong of Buzz Aldrin) that the astronauts were wearing lunar overshoes (aka, moon boots) on top of the shoe part of their spacesuits. These boots do match the pattern of the footprint image. You can see the moon boot’s tread in other pictures too. Both astronauts’ moon boots are on the list of many items that were left on the moon. Similar moon boots from the later Apollo 17 mission were brought back to Earth. This article is part of our work factchecking potentially false pictures, videos and stories on Facebook. You can read more about this—and find out how to report Facebook content—here. For the purposes of that scheme, we’ve rated this claim as false because the implication is not correct.